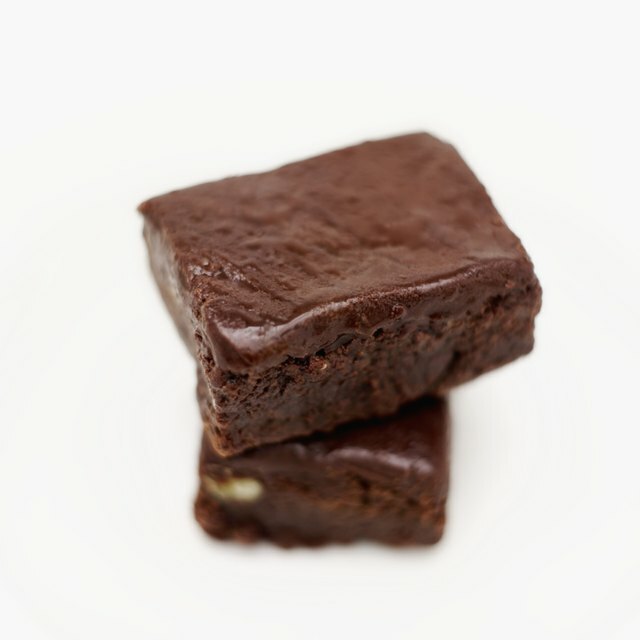 Cut brownies straight out of the oven and you'll end up with brownie crumbs instead of brownie squares. 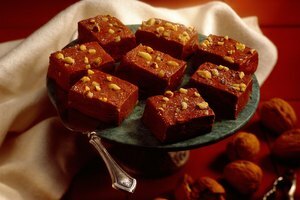 A cooling-off period is essential to allow the brownies to set, but it can take several hours to cool brownies at room temperature. Your first thought might be to pop the pan in the refrigerator or freezer, which is not a good idea because it raises the temperature inside the fridge. An ice bath, on the other hand, cools them quickly without putting other food at risk. Line the bottom of a large pan with about an inch of ice. Choose a roasting pan larger than the browning pan, for example. Plug your sink drain and line the bottom of the sink basin with ice, if you don't have a large enough pan. Add enough water to the pan to fill the empty spaces around the ice. Place the pan of hot brownies on top of the ice. Add more ice and water around the pan, if necessary, but prevent the water from getting into the brownies. Ensure that you can still easily remove the pan from the ice bath when it's cooled. Leave the brownies in the ice bath until the brownies are completely cool, which takes about half an hour. If needed, remove the brownies, drain the water after the ice melts and replace it with fresh ice. The brownies should feel completely cool if you place your palm on the surface. You may move them to the freezer to finish cooling after the temperature is greatly reduced. 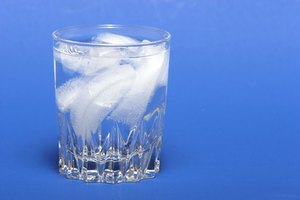 Don't attempt to use anything but a heat-proof dish to hold the water and ice. While you might have a large, plastic storage container, there's a chance the hot pan can melt the plastic even if you add ice and water to the bottom. The Kitchn: Is It OK To Put Leftovers in the Fridge While Still Warm?